Scott Raymond’s April 14 Secret Music playlist in tribute to Oophoi was especially comprehensive, and included tracks from all four of Oophoi’s solo and collaborative works on Hypnos. Thank you, Scott! Here’s my playlist for Sunday, April 14, 2013. No show last week, as I had to work. On today’s show, I played several pieces featuring Gianluigi Gasparetti, aka Oophoi, who passed away earlier this week. A great talent gone too soon. 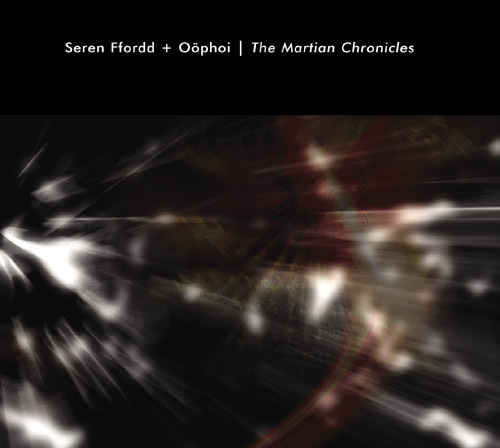 Here’s a recent review by Textura of THE MARTIAN CHRONICLES, the latest from Seren Ffordd & Oophoi. Speaking of extraterrestrial, The Martian Chronicles, the first collaboration between long-time Hypnos contributors Seren Ffordd & Oophoi, takes its name from a story collection by Ray Bradbury (by the way, Seren Ffordd, the alias adopted by Andy Benford is Welsh for Star Road, Way of Stars, or Milky Way, while Italian ambient-drone composer Gianluigi Gasparetti is the man behind Oophoi). The seventy-four-minute set elaborates on its sci-fi connection in seven ethereal moodscapes the duo recorded between 2006 and 2009 using synths, samples, percussion, and field recordings as the primary sources (the album was mixed at Benford’s StarWeb studio, aptly enough). The journey is mysterious, deep, and immersive, especially when the settings flow uninterruptedly from one to the next. The second track, “Dead Cities,” already finds us inhabiting deep space, as suggested by the lulling ebb and flow of the gaseous exhalations that dominate its early goings. A choir seems to faintly intone alongside the instrumental sounds (also during “Canals”), though that could simply be a hallucinatory response to the alien sounds in play. Cavernous rumblings convincingly conjure the vast emptiness of space before “Blue Fire” brings a rather more serene mood to the album. An occasional real-world sound, such as the chirping birds and rain downpour in “Flamebirds Waiting for the Storm,” adds a more concrete dimension to the generally abstract character of the sound design. Regardless of mood, the tracks unfold slowly, a move that in turn heightens their immersive potential, and there’s a grandiosity to the pair’s material, not to mention drama and depth. Though it’s very much in the deep ambient tradition, The Martian Chronicles is also a superb example of the genre and one aficionados would do well to investigate. Catching up on posting reviews received… going to combine several together! Here are three for The Martian Chronicles by Seren Ffordd and Oophoi, reviews by Hypnagogue, Joseph Pe, and Terrascope UK. Our thanks to all reviewers, both official and informal!